Every day, I sit at my computer and I look at my calendar. Currently, it looks like this and it will for a while. The names that you see are the students that will be in my class next year. Now, they might change a little bit, but for the most part, those names each represent a student who I will have the pleasure and the challenge of teaching next year. Every day I pray for one (or more) of them. I start my day by going down the list and praying for them. Sometimes I will pray general things, “Lord, please help ____ love reading.” Other times I will pray for specific things. “Please help ______ be a good friend in difficult situations, please bless their family, and please help them come to know You this year.” I earnestly also seek the Lord that he will impart some major self control, peace, patience, wisdom, and kindness into my students as well!! 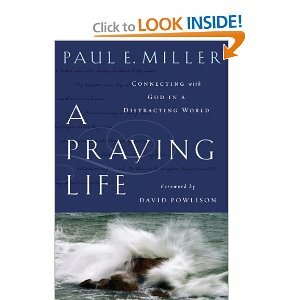 I read a book last summer called “A Praying Life” and was very inspired by it. 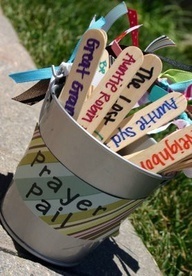 Another way that you can pray for your students is by using a prayer pail. I love this idea but I don’t really always have the luxury of reaching into a cup, looking at a name and praying on most days. I’ll be honest and tell you that most of my praying is done while I am walking my dog, while I am in my car, right before I go to bed, or when I am at my computer! However, you might really like this idea! For this, just get a bucket and some popsicle sticks! Write the name of your students on the popsicle sticks and pray for one student each day! 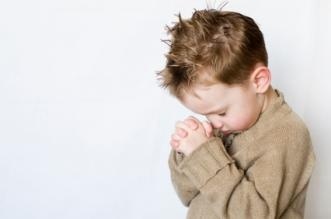 To those of you who believe in prayer, I truly suggest praying for your students starting today! You will be amazed at the difference it makes! Even if you don’t know their names, pray for them. Pray for your classroom. Pray for the community that you will be building when school starts. Once you can get in your classroom, before the hustle and the bustle sets in, PRAY! As much as organizing, cutsifying, and lesson planning are important, praying could possibly be the MOST important thing you do to start your year (and throughout your year). It is a joy for me to look down at my list and pray for one of my new students. I can’t wait to see what God is going to do! I hope that you will enjoy it as well. Take the time, pray for them. I love your post today. I will put the book on my reading list for the summer. I love the prayer pail for my classroom. I will be doing something with that for daily prayer. Thanks for the idea. Absolutely love this! I remember when Kristen wrote about her prayer pail and I thought it was such a great idea! And I never did it! So now I am going to for sure!!!! What a great post! I’m so glad you shared. I love the idea of praying for our students daily. I’m going to have to look that book up soon! You’re such a blessing! Before I even started teaching, my college advisor made it very clear how important it is to pray over our kids. I have to admit, I don’t do it as often as I should. Your post is a great reminder. I love that you pick a scripture for the year. That’s absolutely perfect! Thank you for this post. Just this morning, I got an email from our new principal with all the schedules, duties, new procedures, etc. I was feeling a little bit overwhelmed, but you post reminded me that prayer will cover all of that. Wonderful post! Your students are blessed to have you as their teacher! This is so overlooked, but is so critical! Thank you for that much needed reminder today, Kristen. What a blessing for us all to hear! I love this! I am definitely doing this next year. Love this idea! I already know most of the kids in my class for next year since our school is pretty small. The ones I don’t know are going to VBS this week so I will get to know them. Will add their names to my calendar this summer. I absolutely LOVE this! Great idea. I too have already started praying for my students. I don’t know their names yet. I will have to check out the book! This is a super sweet post! i love this very important reminder! I need to order this book. Great idea!! I teach K4 and have been focusing on communicating with each of next years students throughout the summer. Now I am going to start communicating with my heavenly Father about each of them as well. Love this post! Prayer is so important. Thanks for sharing your book. Can’t wait to buy! I’m your newest follower!! Prayer is so important. Thanks for this reminder as sometimes life gets so busy that we just forget the little things like this! Thank you for this! I have prayed for my class in the past, however not as consistently and purposefully as you describe here. Beautiful! Thank you so much for posting this! I just finished my first year of teaching and loved my class so very much. I thanked God for them all the time when I would pray. But seeing this post helped me see it through a different light…. I can pray for the kids that I don’t even know yet… I can pray for the good times that will come and strength for the troubled times that will come too. What an awesome post! <3 I have been following your blog for a while now and I love it! I love your post. What a wonderful way to prepare for the upcoming year. We spend so much time running around doing, when we could be still and do the most important thing for our students. Thanks for sharing! Thank you for this post. I will have to look for that book. I don’t know who my students for next year are, but God does, so I’ll start praying for them now. I can’t tell you how encouraging it is to know that there are Christian teachers out there that aren’t afraid to share their faith. I love this! I also pray for my students. We aren’t given the names until the beginning of August, but God knows who they are! I have prayed for my kiddos for many school years. In fact, many times I go to work about 15 minutes earlier than planned just to walk around my room and touch each chair and pray for the students who will sit in them that day. It makes a HUGE difference in their year and mine! My husband is a pastor and we have a family of 8 who came to our church 3 years ago…I had the daughter in my class the year before. I never “said” anything about God or our church–they just knew! Great post! God bless you in this coming year! What a great reminder. Prayer is so important. I pray for my upcoming class each year throughout the summer, but not as much as I should. I love the idea of praying for them individually. I wish I already had my list, but it is kept a big secret until school starts. God already knows the children I’ll have. He knows their personalities, strengths, and weaknesses. Thanks again for this post. You just blessed my heart with this post and challenge me to be a better Christian! Who says God is left out of public schools? Well did great job and where to buy essays and looking professional writes online who write essay. What a nice post! It was interesting to read it. If you do not know where to buy essays click it.